Glamorgan’s fixtures for 2019 have been confirmed this morning in the Specsavers County Championship plus the Royal London One-Day Cup. The Championship season gets underway on April 11th with Glamorgan - in what will be their 99th year as a first-class county - hosting Northamptonshire at Sophia Gardens. The previous week will see their domestic campaign get underway with a three-day friendly (not deemed as first-class) against the students of Cardiff MCCU starting on April 5th at their headquarters in the Welsh capital city. Glamorgan will also have their annual West Wales Festival in Swansea, with Derbyshire visiting the St. Helen’s ground for a four-day contest starting on June 10th, whilst August 18th will see the start of the North Wales Festival at Colwyn Bay as Lancashire once again visit the Rhos-on-Sea ground for a four-day contest. On June 17th Glamorgan will also visit Radlett for the first time in Championship cricket as they meet Middlesex in a four-day contest. Glamorgan visited the ground during May 2017 for a match in the One-Day Cup, but this year’s game at the attractive ground in leafy Hertfordshire will be the Welsh county’s inaugural visit in first-class cricket. September 2019 is also the 50th anniversary of Glamorgan’s Championship-winning victory, under the captaincy of Tony Lewis, over Worcestershire at Sophia Gardens so it is fitting that the Welsh county will be visiting the New Road ground on September 10th for their penultimate Championship game of the summer prior to their final away game of the summer, starting on September 23rd by travelling to Chester-le-Street to meet Durham at the Emirates Riverside. 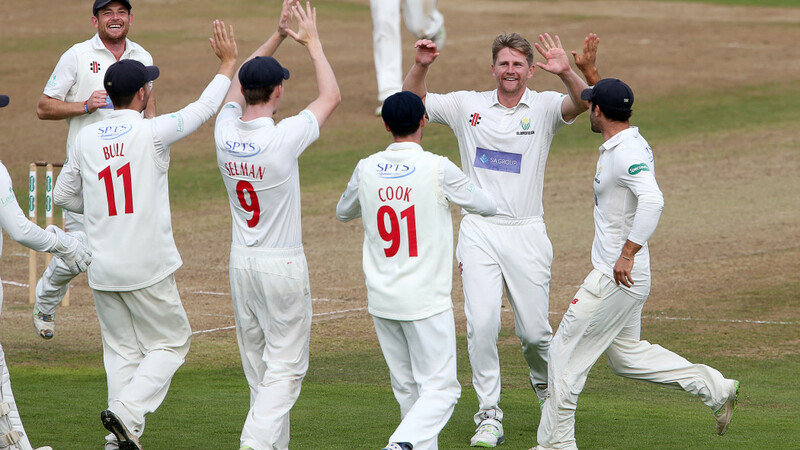 As far as the One-Day Cup is concerned, the group games in the white-ball competition begin on April 17th with Glamorgan meeting the Essex Eagles at Cardiff before travelling to the Ageas Bowl to meet Hampshire on April 19th. Two days later, Glamorgan play the first of a trio of back-to-back games at Sophia Gardens, against Somerset, Kent and Surrey.